The Universal Serial Bus (USB) was developed in 1990s to define communication protocols, including cables and connectors, between computers and electronic devices such as printers and scanners. The USB port was adopted as the basic connection portal as the number of devices multiplied in quantity and types. Devices like smartphones, PDAs, tablets, smartphones and video game consoles can connect to computers with USB ports allowing recharging and communication thereby replacing the requirement of adapters and power chargers. USB3.0 was released in November 2008, almost eight years after the release of USB 2.0. 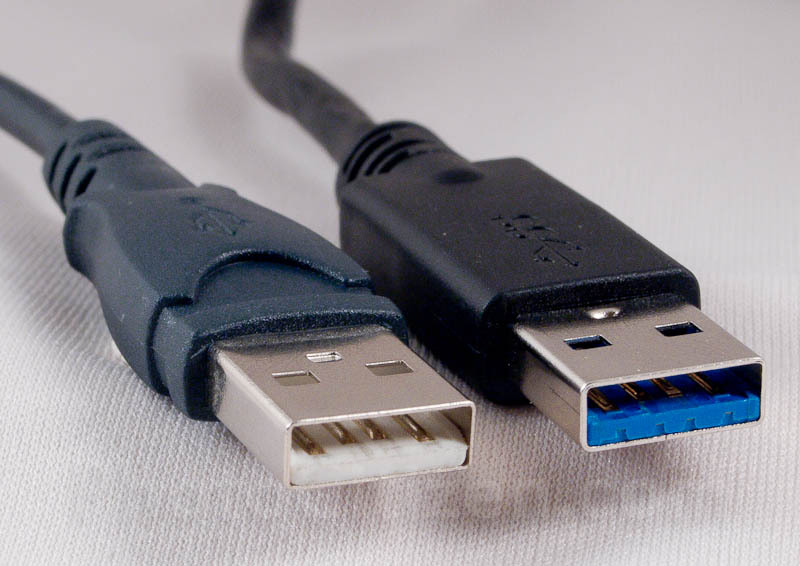 Over five years later, in 2014, USB 3.1 was released with widespread use expected in 2015. USB 3.0 is theoretically more than ten times faster than USB 2.0. The USB 2.0 standard offers a theoretical maximum signaling rate of 480 megabits per second, while USB 3.0 defines a maximum rate of 5 gigabits per second. In reality, this standard just defines the maximum transmission rate of data through a USB port. Devices will have other bottlenecks. For example, USB drives will be limited by the speed of their flash memory. For a similar product, the USB 3.0 version is generally more expensive than its USB 2.0 version. Are you confused on how to differenciate the port? USB 3.0 ports are generally colored blue inside. Many computers have both USB 2.0 and USB 3.0 ports. In Reality it is found that the worst USB 3.0 drive was faster than the USB 2.0 drives, but only by a tiny bit. The best USB 3.0 drive was over 28 times faster. How to Upgrade USB 2.0 to USB 3.0 ? USB 2.0 and USB 3.0 are not the software version to upgrade it easily. It is the hardware version, so you need to buy the device with 3.0 version in order to upgrade.